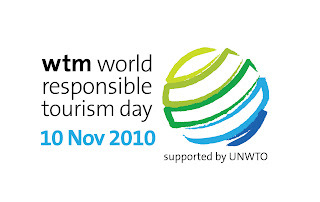 WTM World Responsible Tourism Day is now three years old and Tropic Journeys in Nature together with the UNWTO, are making a difference. With the Copenhagen Climate Change Summit failing to produce a legally binding agreement the environmental focus in 2010 will be firmly on the travel and tourism industry – which has the fastest growing carbon dioxide emissions of any sector. There is no doubt that what we do today will have a strong influence on the kind of international travel and tourism industry we have in the future. We are in this together – and everyone must play their part. Tropic is very delighted to support and continue our commitment to responsible tourism.